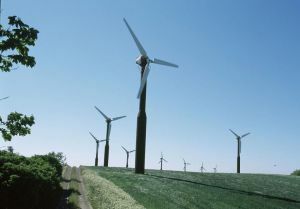 Green Public Procurement (GPP) will form a major component of the UK government’s new sustainable development plan for the country, according to a document recently released by the Department for the Environment, Food and Rural Affairs (Defra). The department intends to use GPP to encourage suppliers to make their products and services more sustainable. It will also use its buying power to green the way contractors carry out works, such as ensuring greater energy and waste efficiency within new buildings. Defra has also stated that it will take life-cycle costing into account in its procurement practices, opting for the most cost-effective solution over the long term, rather than simply the cheapest up-front. It has also developed a set of procurement standards, titled Government Buying Standards, which all central government departments and agencies are required to use. Each agency is expected to collect and publish information about the impacts of their supply chain. 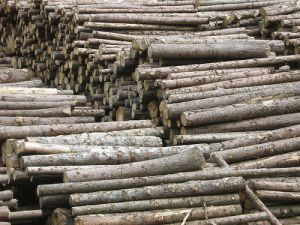 Under the Timber Procurement Policy, government departments are committed to buying sustainably sourced timber. Employees working in the field of procurement will also be offered to undertake a Sustainable Public Procurement training Programme. At present, public sector spending is worth approximately 16 percent of the UK’s Gross Domestic Product (GDP), representing a major opportunity to encourage sustainable development through GPP. This year the Blue Angel, the German-wide label that identifies environmentally friendly products, celebrates its 35th anniversary. The label helped the German Federal Environment Agency (Umweltbundesamt) to establish requirements and test methods to classify and quantify the environmental and health impacts of a range of products. 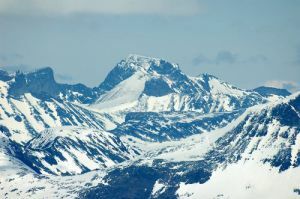 The label sends a strong signal to manufacturers of the market benefits of developing ecologically beneficial products. It is also a clear sign to consumers and procurers, allowing them to more easily purchase sustainable goods. Throughout its history, the label has pushed for stricter manufacturing requirements, and has intervened when the law was unable to. For example, although asbestos was suspected to be harmful to humans as early as the beginning of the 20th century, due to political lobbying it continued to be used up to the 1980s. To counteract the lack of political action, the Blue Angel established an “asbestos-free label”, allowing consumers to ensure products were devoid of the harmful agent. Similarly, the label was instrumental in pushing for the ban of harmful CFCs in aerosol sprays in Germany, and helped to usher in low-emission heaters in the country. Nordic Prime Ministers have identified GPP as an essential means to encourage green growth, citing that public procurement of goods and services in the region amounts to 16 - 20 percent of GDP. In an effort to capitalise and expand on this, experts from national procurement institutions have conducted a study that looks into ways of making strategic use of GPP to create new markets for Nordic environmental innovation. “GPP is an important political instrument for the Nordic countries in the search for innovative solutions that limit negative effects on the environment and contribute to green growth,” says Sven-Olof Ryding, Managing Director of the Swedish Environmental Management Council and member of the expert group. "We want to market the Nordic region as being at the forefront of GPP development." The GPP project will identify pragmatic procurement methods and a joint procurement initiative, suggest adjustments to the regulatory frameworks in the Nordic countries and take a more visionary approach to ensure that GPP will be an important driver of future growth. Initially the project will work to foster closer links between the demand and supply side of the market, allowing public procurers to shape the market towards innovation. 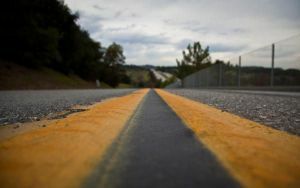 Sustainable highway and road construction practices saved US authorities billions of dollars and an estimated 21.2 million barrels of virgin liquid asphalt binder in 2011, according to a recent survey. Conducted by the National Asphalt Pavement Association (NAPA) in partnership with the Federal Highway Administration (FHWA), over 200 companies operating 1,091 asphalt production plants across 49 states and Puerto Rico were polled. Savings were made through use of reclaimed asphalt pavement (RAP) and reclaimed asphalt shingles (RAS). It was also found that RAP and RAS use is on the rise in the US, with nearly 69 million tons of recycled materials going into new pavements. In Europe, the EU GPP criteria for roads are currently under development by the European Commission and will be published in early 2014. The City of Hamburg (Germany) is saving money by using 100 percent recycled construction material when refurbishing and resurfacing some of its roads and is looking to expand this approach. Hamburg has also taken significant steps to encourage an increase of recycling rates in construction materials by establishing an online exchange for soil, debris and construction materials. Full details of Hamburg’s use of recycled asphalt for road surfacing are available online. The European Commission has started an evaluation process to determine the effectiveness of the Energy Labelling Directive and specific aspects of the Ecodesign Directive. The evaluation will provide background information and analysis, and lay the groundwork for an impact assessment and the possible drafting of a legislative proposal. To gather a greater range of input on the effectiveness of the two directives, the Commission will run a series of consultations with stakeholders. Registration for the first stakeholder meeting, which takes place on 27 June 2013 from 9.00 – 13.00 in Brussels (Belgium), is now open. 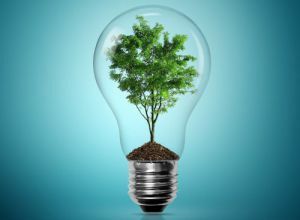 To access the meeting, participants must also register for Stronger ecodesign & energy labelling: Cornerstone of EU Energy & Climate Policies, a seminar held as part of the EU Sustainable Energy Week (EUSEW). The seminar can be registered for online. 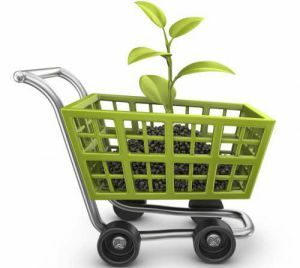 Public authorities and private companies looking for support with green procurement can find free consultation services and information on the website of the Buy Smart+ project. Funded by Intelligent Energy Europe (IEE), the central objective of the project is to increase the share of energy efficient procurement in Europe, thereby supporting the production and use of energy efficient goods and services. As well as information materials, the project will provide training, good practices and tools, including technical guidelines on several product groups, as well as life-cycle costing tools. This will be achieved through the establishment of green procurement helpdesks in 15 EU countries. The site specifically looks at the product groups: building components, green electricity, household appliances, lighting, office equipment and vehicles. Sample purchasing policies are available, and interested parties can subscribe to the project newsletter. Training modules offering a short overview of different product groups, as well as tips on conducting successful trainings, can also be downloaded. Governments are increasingly turning to Sustainable Public Procurement (SPP) as a means to achieve environmental, social, and economic goals. However, the level of knowledge needed to effectively enact SPP, and a full understanding of what SPP entails, is often lacking, both in developed and developing countries. To address this, the United Nations Environment Programme (UNEP) has set up the International Sustainable Public Procurement Initiative (SPPI). The SPPI aims to overcome barriers that inhibit the use of SPP, such as negative perceptions with regard to complexity and cost, a lack of legal or environmental knowledge within organisations, or inflexible budgetary constraints. SPPI will build the case for SPP as a tool to promote greener economies and sustainable development, support the implementation of SPP through facilitating collaboration, and undertake advocacy and awareness raising activities at all levels. UNEP have also developed a Clearinghouse dedicated to advancing Sustainable Consumption and Production (SCP) worldwide. The Global SCP Clearinghouse allows users to share and find information on SCP around the world, including initiatives, news, events and publications. Users will also have the ability to build networks and identify partners through the interactive marketplace for SCP cooperation, and strengthen capacities by connecting with experts. 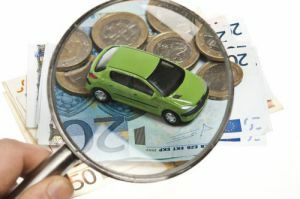 The Clean Fleets user needs assessment, a thorough analysis conducted by the Clean Fleets project to see what support public authorities and fleet operators require to implement the Clean Vehicles Directive (CVD), has brought to light the most pressing challenges faced when procuring vehicles with higher standards of energy and environmental performance. In response, the project has set up three working groups that will discuss and attempt to resolve key issues in the fields of fuel & technology options for buses, life cycle costing and monitoring and contract management. Each group will produce a report, fact sheets, FAQs and case studies that will be available in early 2014. Public authorities and technical and professional experts who wish to give input regarding their experiences and lessons learned can join the exchange by contacting info@clean-fleets.eu. The discussions will take place online and by telephone. This exchange is not open to vehicle manufacturers at this time, but their involvement will be requested in months to come.